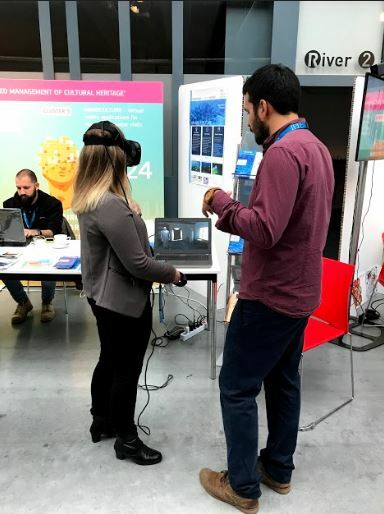 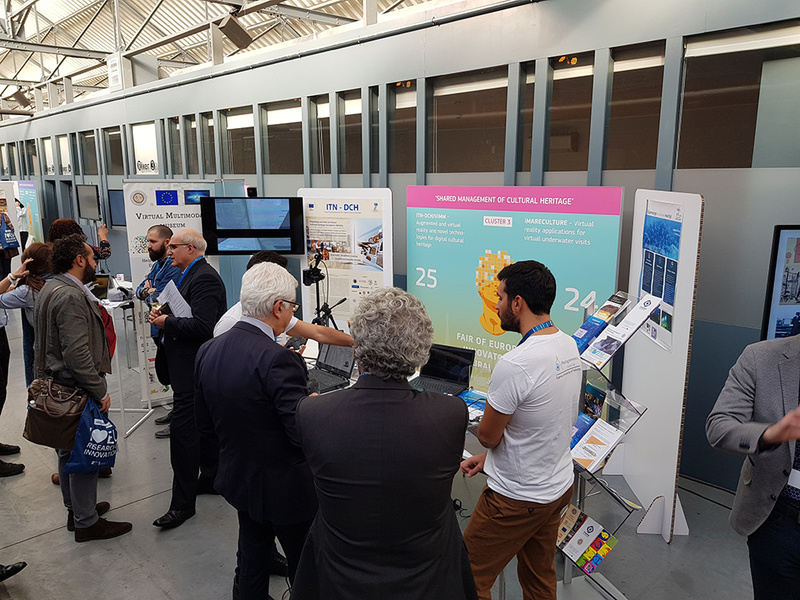 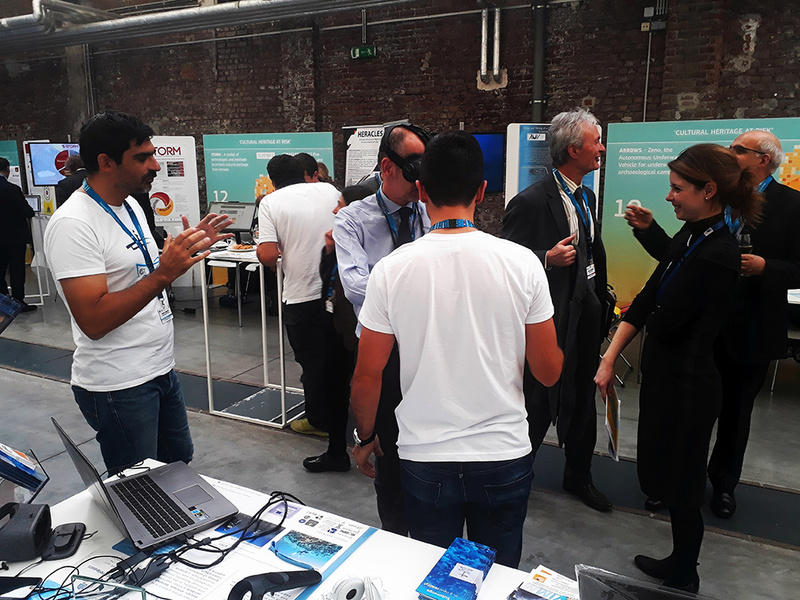 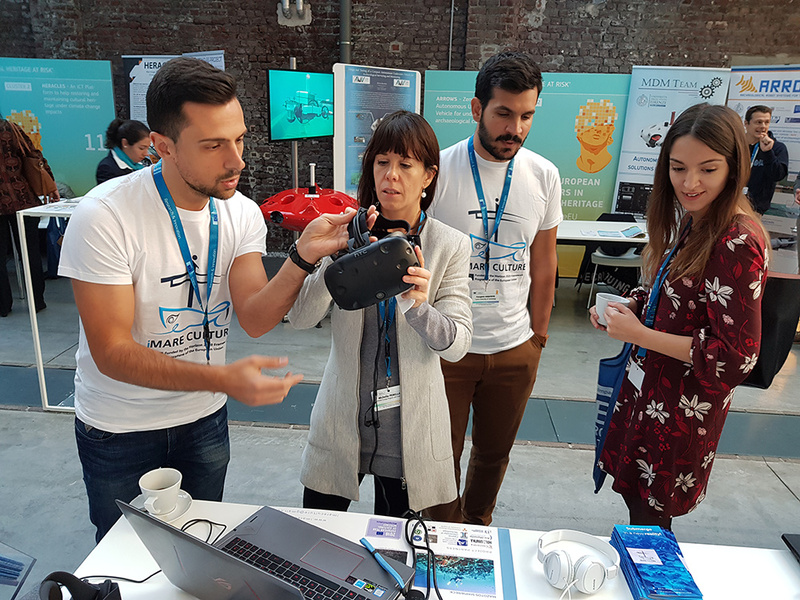 On the 15th and 16th of November 2018, iMARECULTURE H2020 project participated in the Fair of European Innovators in Cultural Heritage, organized by the European Commission, Directorate General for Research and Innovation – DG RTD. 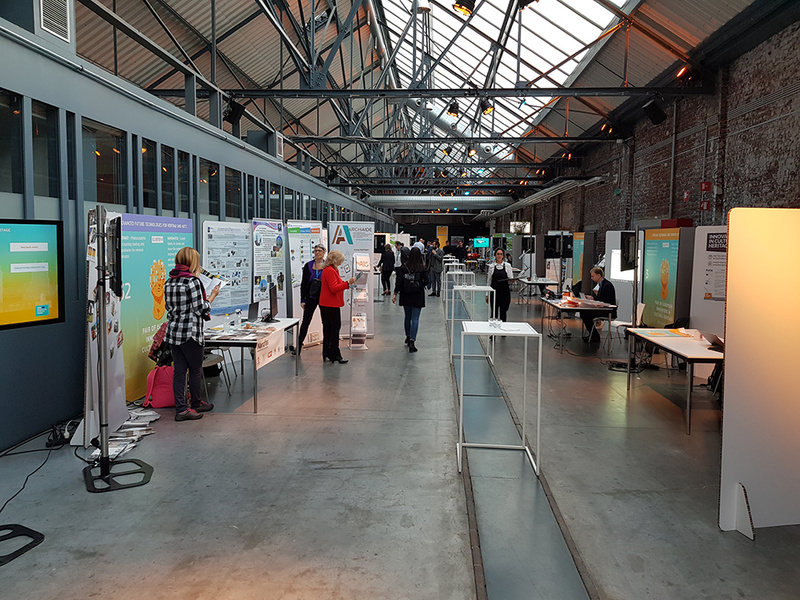 The event took place in Brussels, Belgium, at the EGG post-industrial building. 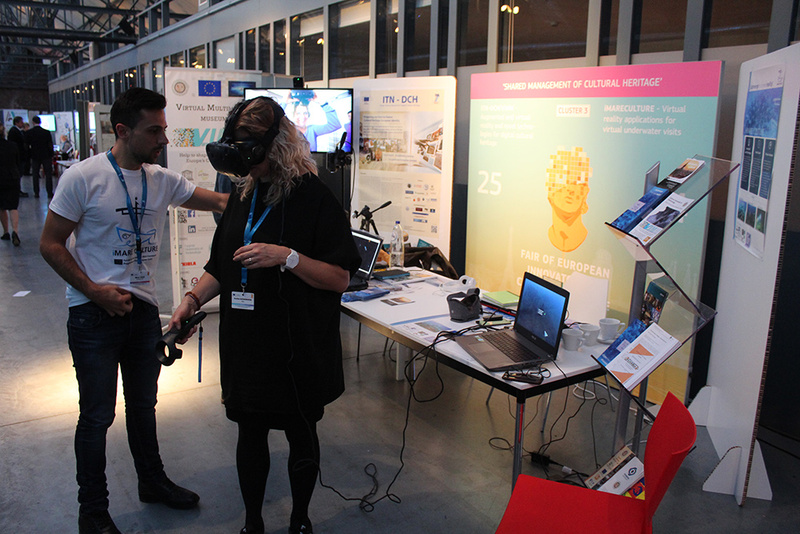 During these two days, more than 90 participants, including experts and general public, experienced the Virtual Dry Visit application in the underwater archaeological Site of Baia and a Virtual Reality visit in the hypothetical reconstruction of the Villa con ingresso a protiro. 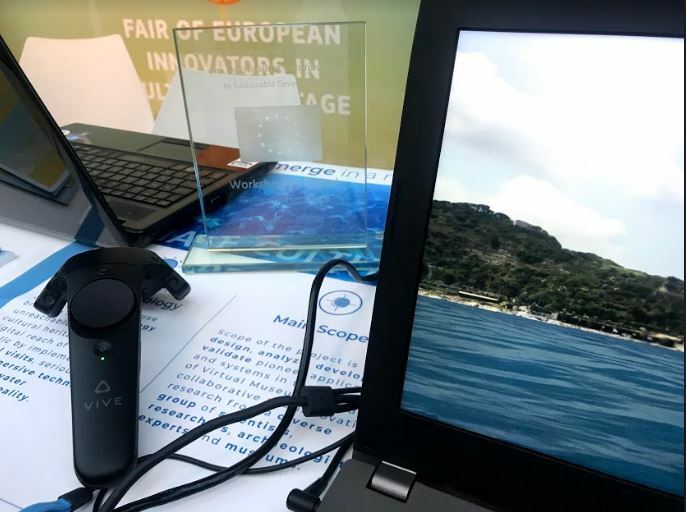 Visitors had also the opportunity to watch an explanatory video regarding the AR and VR technologies of the project and discuss with the iMARECULTURE team about the next steps of the project and the other applications developed such us the Virtual Dry visits in Mazotos and Xlendi shipwrecks, the Underwater Excavation and the Seafaring serious games, the 3D puzzles and the underwater Augmented Reality tablet. 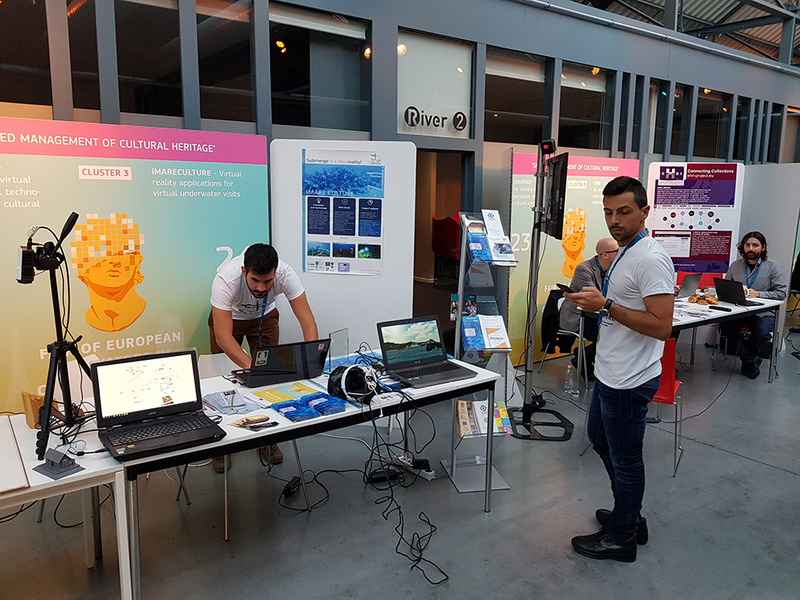 The event offered us the opportunity to reach the general public and receive positive and constructive feedback, giving us also the chance to discuss and collaborate with researchers on other EU H2020 projects and participate in the Innovators on Cultural Heritage Community. 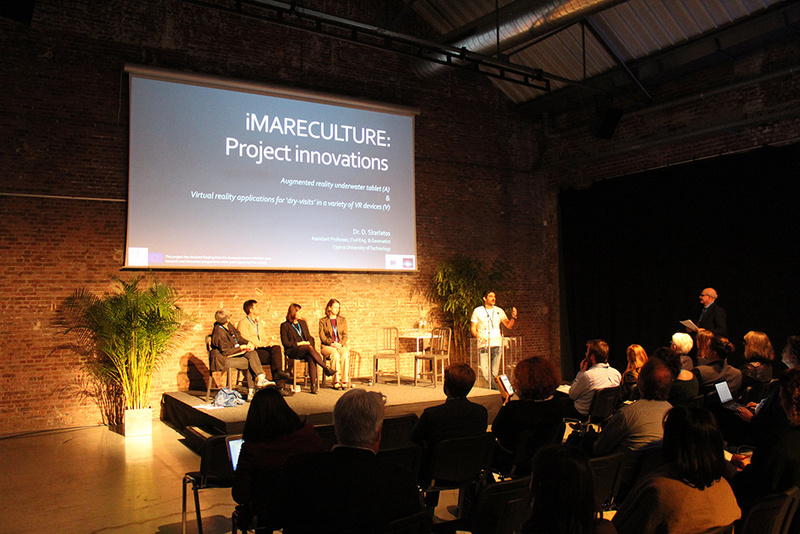 Moreover, a pitch presentation about iMARECULTURE was given on the first day of the event in the Breakout session 3: ‘Shared management of cultural heritage’. 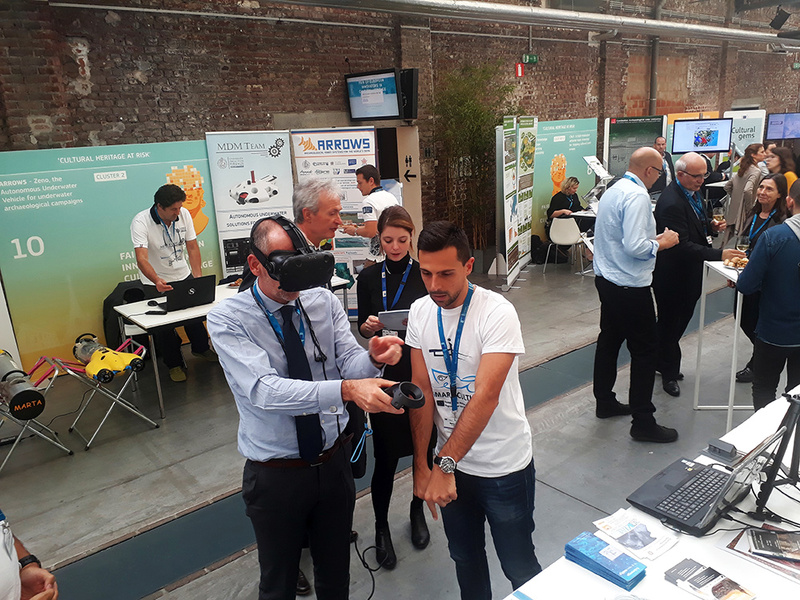 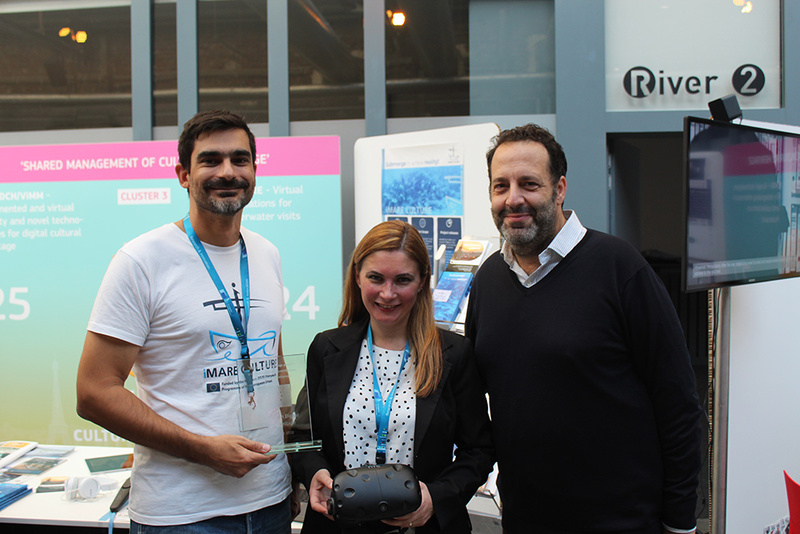 The project was represented in this event by the Coordinator Dimitrios Skarlatos, the Project Manager Panagiotis Agrafiotis and the CTO of 3D Research srl. 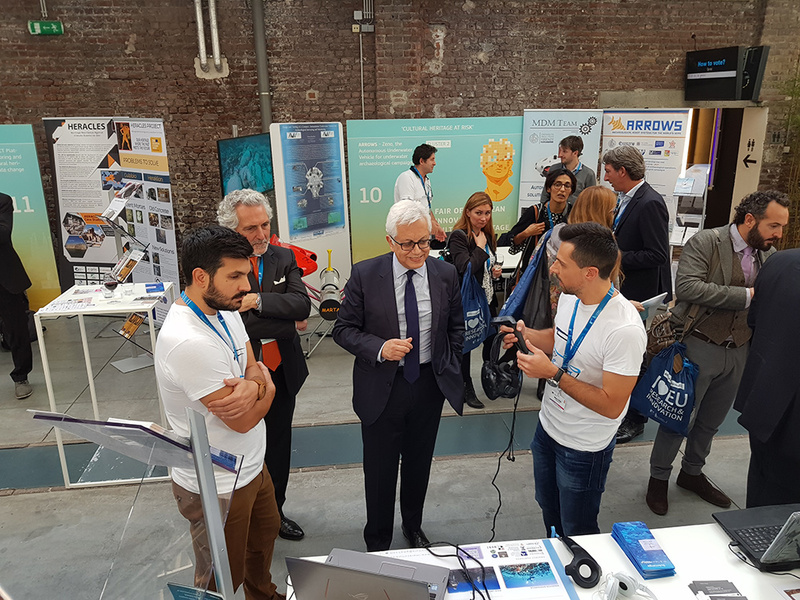 Marco Cozza. 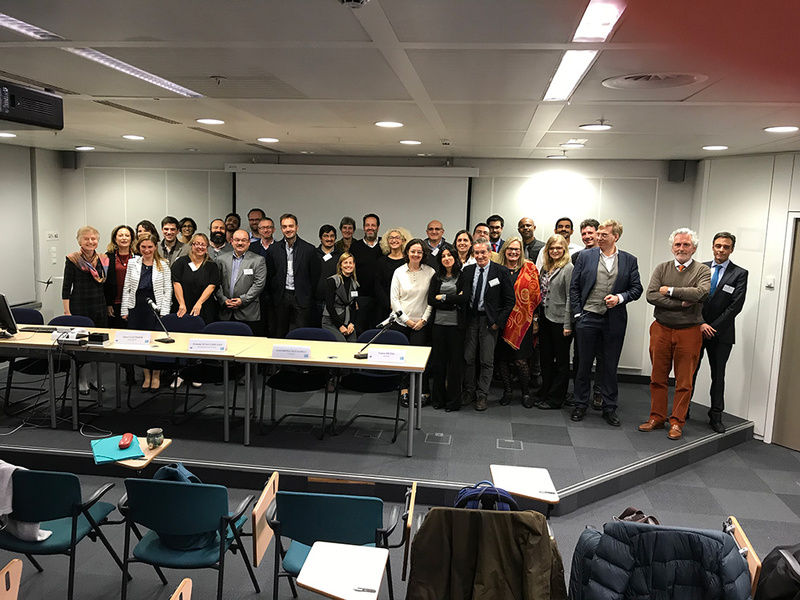 This event followed an ICT-CH Workshop ‘Common challenges and perspectives for Digital Cultural Heritage in H2020 projects’, which took place in European Research Council building the day before. 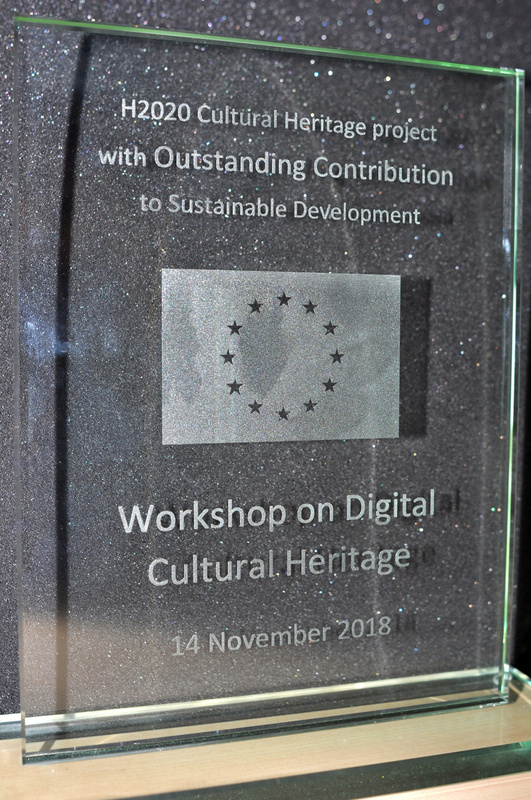 There, the iMARECULTURE project won the award for being the H2020 Cultural Heritage Project with Outstanding Contribution to Sustainable Development.